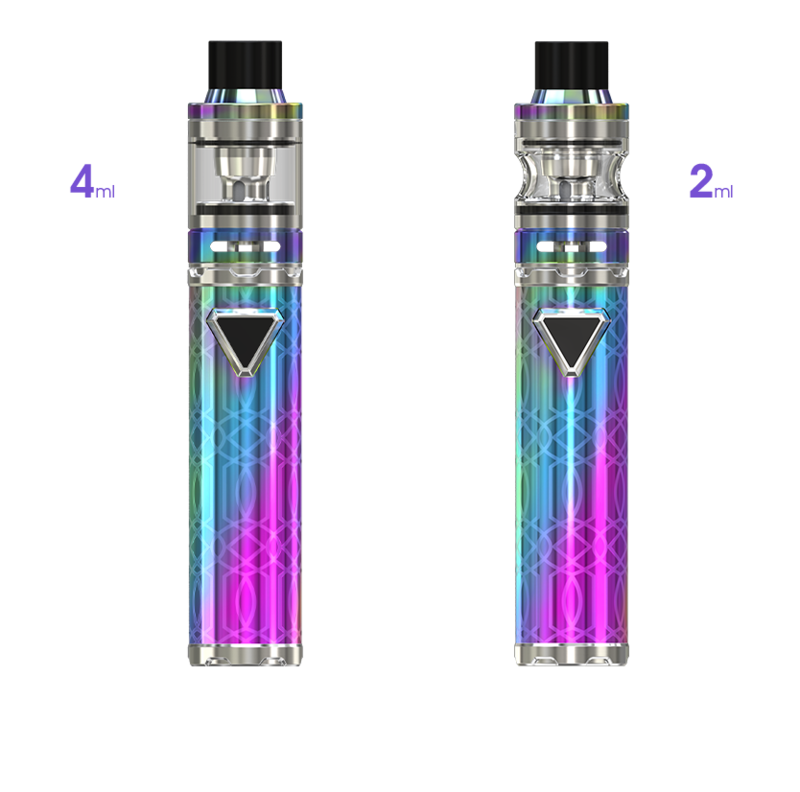 The Eleaf iJust ECM kit features two new EC Mesh coils, the EC-N and EC-M. The two coil heads are constructed using different style of mesh, which provides a much bigger surface area allowing for better flavor and bigger clouds. Fitted up with an internal 3000mAh battery, the iJust ECM is long sustainable, while its multiple circuit protections will keep you vaping safe. The LED light on the button will cycle through three colors to let you know at a glance how much battery life is remaining. To fill the tank, you just need to slide the drip tip back to reveal the fill port. Efficient, simple and sustainable, it’s the Eleaf iJust ECM.